One of the most effective North Central Washington organizations in fostering a sense of community is the Initiative for Rural Innovation and Stewardship, a tiny nonprofit run on a shoestring by former Nature Conservancy staffer Nancy Warner. What I appreciate about the diminutive Warner is that she puts all of her energy into discovering stories of community success and celebrating those achievements in a way that others can learn from them. The signature event for IRIS is the annual North Central Washington Success Summit, which brings together people who are passionate about making a difference in their communities for a day that is focused on what is possible when people work together for the common good. 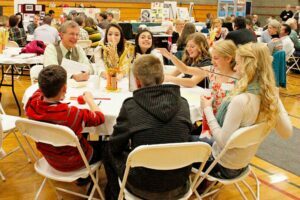 This year’s summit will be held on Tuesday, Nov. 15, from 9 a.m. to 3 p.m., at Quincy Junior High School. This year’s theme is “Seeding Success, Growing ONE Community,” and part of the day will be spent celebrating important civic achievements in that community. That is exactly the kind of mindset that is being built in North Central Washington. We see this same approach in the work of Margie Kerr and Laurel Helton in Make A Difference Day. This grass-roots community spirit is also the driving force behind the Our Valley What’s Next community improvement effort. Warner is a master at collecting compelling stories of success, many of which can be replicated. “This community, including George and the Trinidad area, has nurtured many success stories,” Warner said. “Our aim is to connect those stories and show how they are growing one strong community,” she added. One thing that makes this, the 7th annual success summit unique, is that it is bilingual. There will be translator headsets available, according to Warner. 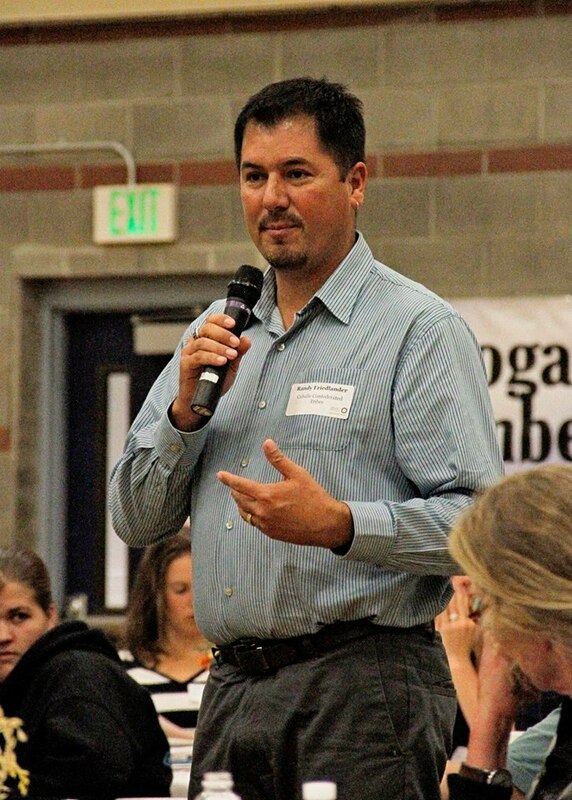 Folks from around North Central Washington will gather at the summit and not only listen to stories of successes but also share insights and perspectives. Those who attend will come away with ideas that could be used in any community to make it more successful. I have been to the previous six success summits and I can say without reservation that it is well worth the time invested. You hear great stories and connect with people who are making significant contributions to the community. More importantly, it fosters hope and confidence in the future because it demonstrates that despite what is often a toxic political culture in this country, that collaboration and cooperation will be our salvation. This summit is about how we thrive together. This sense of community is how the Native Americans lived in this country before Europeans showed up and it’s how the Whites who arrived worked together to survive. To register for the summit, you can email irisncw@gmail.com or visit the website at irisncw.org. While you are on the web site, check out the oral history interviews, success stories and all of the other great content. 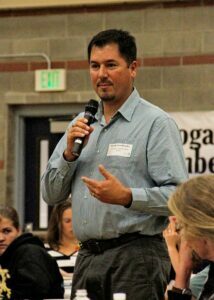 Randy Friedlander, Fish and Wildlife director for the Colville Confederated Tribes, speaks at an IRIS Success Summit in Okanogan. 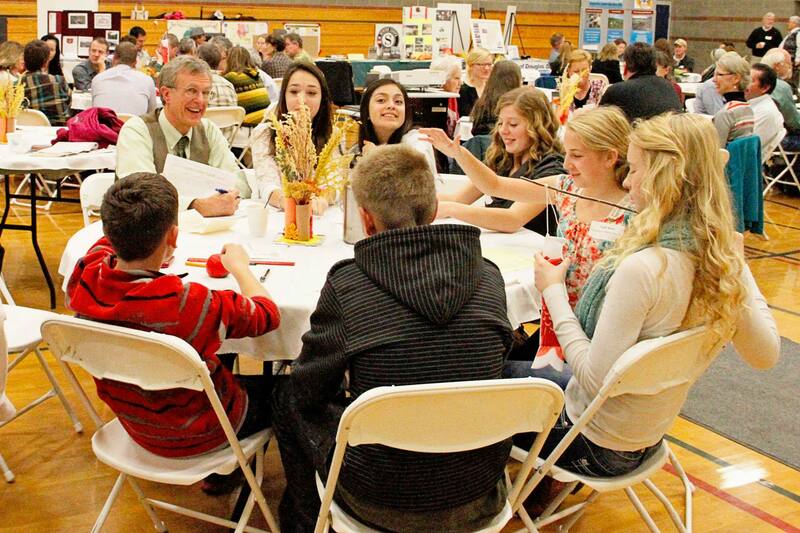 Okanogan teacher Doug Woodrow, now retired, with yearbook students at a Success Summit in Okanogan.